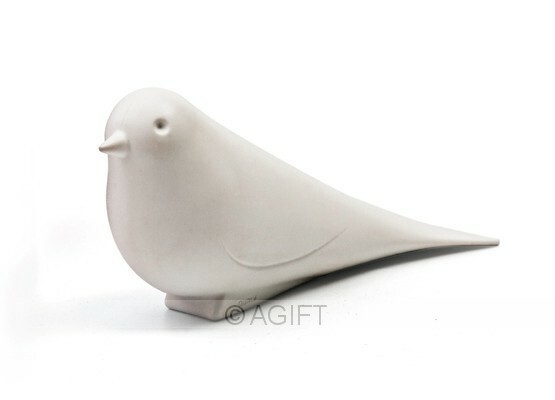 This beautifully crafted white dove is made from a hard-wearing 100% recyclable material. It's tail fits neatly under your door. 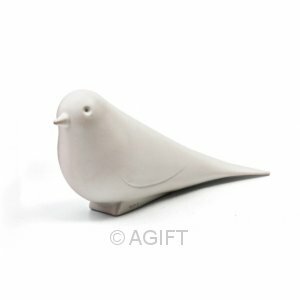 The stylish Qualy dove door stopper looks fantastic and solves your door slamming problems! The dove represents peace so by placing it under a door, it opens and welcomes everyone to your world. It comes in a 100% recycled natural cardboard package, printed with soy ink.